Most people at some point in their life have at least one filling. Dental fillings are used to repair cavities in your tooth caused by dental caries. Fillings using high-quality dental porcelain help restore tooth function and protect your tooth from further damage by bacteria. While the concept of filling cavities with other materials is almost as old as dentistry itself, the types of materials have advanced significantly over the years. 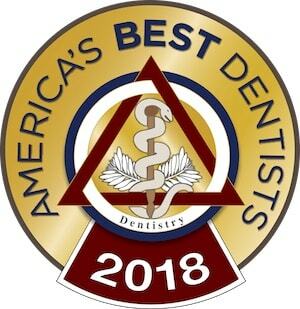 At the Center for Family and Cosmetic Dentistry in Columbus, Ohio, we use the most up-to-date materials for our fillings and other restorations, including dental composite material and dental porcelain, as well as the latest approaches to ensuring patient comfort including sedation dentistry and Anutra buffered anesthesia. Metal amalgam containing mercury used to be the material of choice for its malleability and low cost to manufacture. Our cosmetic dentist, Dr. Michael Firouzian, prefers tooth-colored composite and white fillings that are aesthetically appealing and mercury-free. If you currently have mercury amalgam fillings, we can replace those old bits of metal with more attractive white fillings quickly and easily. And with our CEREC system, you can get ceramic fillings in a single visit. Mercury amalgam fillings, especially if you have more than one, can seriously detract from your smile. Their silver color does not blend well with your natural teeth. Composite fillings, on the other hand, lack the shiny luster of porcelain but is still much more attractive than metal. Composite fillings are also porous and may dim over time, while porcelain is smooth and stays strong. Our restorative goal is to return your teeth as close as possible to their original appearance, function, strength, and longevity. In general, we recommend composite fillings for small cavities. For fillings larger than a third of the biting surface, and fillings that involve the points (cusps) of the tooth, we recommend porcelain fillings. Often, the size of the filling–and whether we have to resort to a dental crown to protect your tooth–may have to be determined at the time we prepare the tooth. If you are looking to brighten your smile, replacing your old amalgam or even your old composite fillings with white fillings may be part of a full-mouth restoration plan you create with the help of cosmetic dentist Dr. Firouzian. Even teeth that do not require full restoration can be improved with porcelain veneers to ensure that all the teeth in your smile line complement each other. Not only do white fillings and veneers look great, they last longer and are tougher than traditional tooth restoration options. To find out more about white fillings and how they can help improve your smile, call us at (614) 848-5001 or contact our Columbus, Ohio office to schedule your initial consultation.